Softball and baseball among proposed sports for Tokyo 2020 Olympic inclusion ! The top sport in Japan, baseball/softball is the biggest sport not currently featured at the Olympic Games — particularly in terms of youth participation in actual organized competition, as the vast majority of baseball/softball’s estimated 65 million athletes in over 140 countries are between the ages of 5 to 21. WBSC’s previous Olympic bid, which proposed baseball and softball for the 2020 and 2024 Olympic Games, earned the second-highest amount of votes at the 2013 IOC Session in Buenos Aires, Argentina, finishing behind wrestling. In four Olympic Games appearances, the USA Softball Women’s National Team claimed three Gold Medals and one Silver Medal finish while setting numerous international records and are one of only two women’s sports involved in the Olympic movement to capture three-consecutive Gold Medals. In 2012, three-time Olympic Gold Medalist Lisa Fernandez and the 2004 U.S. Olympic Softball Team were honored for their accolades with induction into the U.S. Olympic Hall of Fame. Members of the 2004 U.S. Olympic Softball Team set 18 Olympic records in Athens. Among the team records set were the most hits (73), highest team batting average (.343) and highest slugging percentage (.559). Fernandez set the individual record for batting average with .545 while Crystl Bustos’ 10 RBI and five home runs were also records. Headquartered in the Olympic Capital city of Lausanne, Switzerland, the World Baseball Softball Confederation (WBSC) was established in April 2013 and granted recognition as the sole competent authority in baseball and softball by the International Olympic Committee at the 125th IOC Session in September 2013. The WBSC represents a united baseball/softball sports movement that encompasses over 65 million athletes worldwide. The WBSC governs all international competitions involving any of the National Teams of its 141 National Federation members. The WBSC oversees the Softball World Championships, The Premier 12, the World Baseball Classic, and the U12, U15, U18, U21 and Women’s Baseball World Cups. For further information, please go to www.WBSC.co or follow the WBSC on Twitter at @WBSC. Pinellas sports complex brings some big questions ! 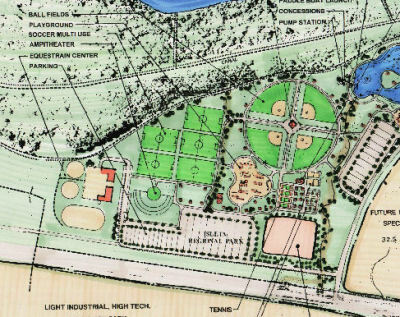 An ambitious proposal by a former baseball star and a local developer to create an enormous sports complex on a former landfill in St. Petersburg has some allure. 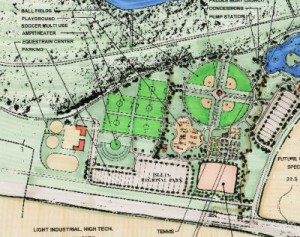 A modern spring training facility that could accommodate perhaps two Major League Baseball teams would be attractive, and so would the prospect of thousands of youths playing all sorts of sports on the many new fields and facilities. But there are plenty of questions for the Pinellas County Commission to consider before it decides to negotiate with the developer — and it should heed MLB’s warning that the first priority is a new stadium for the Tampa Bay Rays. The county-owned landfill along Interstate 275 known as Toytown has been closed for three decades, and over the years a variety of plans for developing the 240-acre site have come and gone. In the latest round, a county panel has ranked first the SportsPark proposal by a group that includes St. Petersburg developer Darryl LeClair and former baseball player Gary Sheffield, who has deep Tampa Bay roots. Most eye-catching is the serious interest by the Atlanta Braves to move their spring training site from the ESPN Wide World of Sports complex at Walt Disney World to St. Petersburg, and the potential for the complex to add a second team. Perhaps that could keep in Pinellas the Toronto Blue Jays, who train in Dunedin and want a new facility. As usual, the key issue is money. SportsPark wants more than $10 million a year from the county resort tax for a spring training complex for two teams. That is less money than it would cost to build separate facilities for the Braves in St. Petersburg and the Blue Jays in Dunedin, but it would take a big chunk of the resort tax on hotel rooms. Earmarking that much money for a spring training facility would make it unlikely that Pinellas also could come up with at least another $7 million a year in resort taxes to help pay for a new home for the Rays. Of course, there would be more clarity if the St. Petersburg City Council would have approved Mayor Rick Kriseman’s reasonable plan to let the Rays look at potential stadium sites in Pinellas and Hillsborough counties for two years. That process would have been well along by now, and the County Commission could make a more informed decision about how to allocate resort tax money. Instead, four council members have created a stalemate and fail to recognize that the city is losing negotiating leverage with the Rays and an opportunity to pursue a $1 billion redevelopment of the Tropicana Field site. Fortunately, two of those obstructionists are term-limited out of office in January and a third, Steve Kornell, is up for re-election in November. In the meantime county commissioners are in a box, poised to decide whether to pursue the SportsPark proposal before the Rays can even look for new stadium sites. And MLB and the Rays are not happy that another sports project has jumped the line. There are other issues about the SportsPark proposal that deserve close scrutiny. Its big projections of new jobs and tax revenue appear optimistic. It’s unclear whether there is enough demand in the youth and amateur sports world for another large complex. And in addition to the resort tax money it counts on millions in public money for marketing and for significant road projects to access the site. In short, county commissioners should keep their eye on the ball. It would be foolish to heavily invest in an effort to bring another baseball team in for spring training at the expense of reducing the options for keeping Tampa Bay’s own Major League franchise in the region. 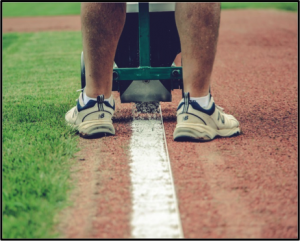 As the person in charge of buying your sports field maintenance products, you are probably naturally drawn toward selecting the lowest-priced product available. (After all – who doesn’t love a deal?) I get that. We’re all on limited budgets, but I want to look at the down-the-road impact those decisions have on your sports fields. Let me give some real world examples from our 3-field Little League complex. Of the three fields at our complex, one is a 90’ diamond used by youth aged 13 – 16 years old, all of whom wear metal cleats. 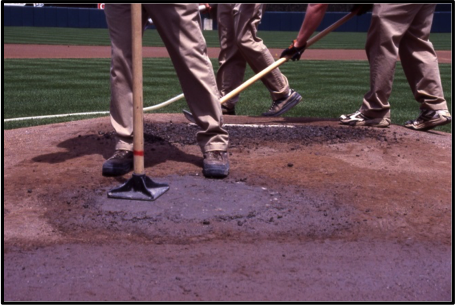 Games are played 7 days a week (2-to-3 games/weeknight and 5-to-7 games/weekend), 20 weeks per year and only one opportunity per day to maintain the mound and batter’s boxes. We have used standard bagged mound clay for years and usually blew through one half to one bag of clay per day. The mounds are kept sufficiently moist and are covered whenever not in use to maintain moisture content. 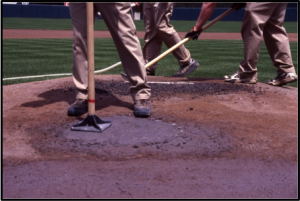 The standard mound clay performed satisfactorily, and I never any complaints except from my crew repairing them. This year we decided to try professional grade clay with higher clay content and the most expensive of all mound clays on our field where metal cleats are used. The results were astounding. The amount of damage to the clay areas each night decreased by more than 70%!! The amount of clay required to repair the mound and plate also plummeted by approximately the same amount as well. In addition, we saved tremendously with labor due to the reduction of repair needed. In the end, we had less labor costs in repairing the clay areas because of the reduced wear and we needed far less clay to repair when we did. We anticipate that we can reduce our clay consumption by at least 50% for next year. These savings far outpaced the increase in cost for the product AND we actually provided a better and more stable playing surface for the player! There are many chalkers on the market, both cheap and expensive. Again, many customers look at the price tag without ever considering performance and potential savings. The Streamliner Dry Line marker is one of the more expensive dry line markers on the market, yet you can save big money with this machine despite the price tag. Thanks to the Streamliners “variable flow adjustment”, you can control how much chalk you are applying to the field. Most chalkers are either open or closed and offer no other adjustments. Because of the Streamliner’s ability to control chalk flow, customers routinely report a reduction of 30 to 50% of chalk, resulting in huge savings in chalk purchases over the life of a Streamliner machine. Additionally, the quality of the line applied is unparalleled in the industry. Again the extra dollars on the initial investment amounts to huge savings in the long haul. There are just a few select examples of what I’ve seen during my time as a groundskeeper. The moral of the story is that you get what you pay for. Do your due diligence when considering ALL of your equipment and material purchases. It is your job and obligation as Sports Field MANAGERS to manage your budgets in the most efficient way possible to provide the best return on investment for your organization. Do the math, do the research, collect and analyze the data, and THEN make the purchase. The most expensive product is not always the solution and won’t always fit your application. There are times that a moderately or low priced product absolutely makes more sense than a higher priced or higher quality product. This is where your research and data will flush that point out. Money is a terrible thing to waste; do it right the first time. NSA Softball Tournament to Generate $2.2 Million ! Evansville, IN. leaders saying the city paid a relatively small amount for the World Series tournament to be in the Tri-State next summer, a small amount expected to make more than 100 times the down payment. It’s a collaborative effort between Owensboro and Evansville. It’s expected to bring nearly 9,000 people to the area. This will be the biggest sporting event Evansville and Owensboro has ever seen. With 40% of all hotel rooms in Owensboro already blocked off and a 1,000 rooms in Evansville, officials say it’s a deal that will bring both communities quite a bit of revenue. More than 200 softball teams will round the bases of the Deaconess Sports Park in Evansville and Owensboro’s Jack C. Fisher Park in July 2016. A World Series is coming to the Tri-State and it’s generating a lot of revenue for Evansville and Owensboro. “We paid $20,000 to NSA and then we are responsible for all of the logistical things that will take place,” says Evansville Convention and Visitors Bureau Executive Director Bob Warren. Warren says the tournament at Deaconess Sports Park provides two things: economic development and a better quality of life. “We’re providing that quality of life to Evansville and Vanderburgh County and the Deaconess Sports Park is returning us a return on our investment,” he said. The Evansville Convention and Visitors Bureau is investing $50,000. This will help pay personnel and organize entertainment functions. When it’s all said and done, they’ll be making a lot more. “We will see a $2.2 million return on that investment,” Warren said. With all those people, you’ve got to have a place for them to sleep. “The new sports complex being added I think is definitely helping the economy in our area for hotels and commerce just to be able to start to capture some of that additional revenue,” Holiday Inn Manager Stacie Vercellino said. Warren says the profit will be split two ways. Both communities will get a major return on their investment, all within seven days. Deals like this are what Bob Warren hopes The Convention and Visitors Bureau will continue to make. There are 24 hotels in Evansville and Owensboro that have agreed to block off rooms. There are 15 in Evansville and 9 in Owensboro. 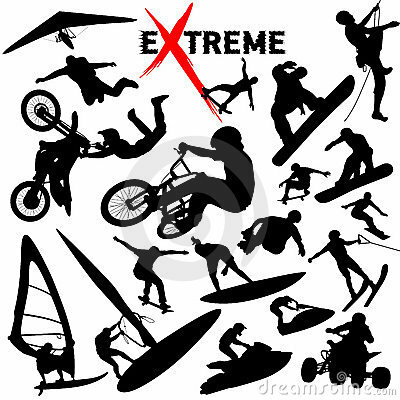 Businessman wants to build extreme Sports park in Lincoln County ! A local businessman and former NASCAR team owner plans on turning a 101-acre vacant industrial plant into an extreme sports training campus and education facility unique to North Carolina. Whitehouse Extreme Sports Park will host a community meeting at 6:30 p.m. on Sept. 22 at its proposed location on Whitehouse Drive. Site plans call for a motocross track, an Arenacross facility, BMX downhill and supercross tracks, an indoor motocross training facility and special event space. Classroom and housing facilities would also be present at the location, as would basketball and volleyball courts, premium RV sites and an indoor/outdoor Junior Olympic swimming pool. For 39 years, the facility was used as a manufacturing plant for White House Foods, relying on Lincoln County apples to supply manufacturing lines of applesauce, apple juice and vinegar. It employed around 240 workers at one point and was the county’s largest water user until it closed down in 2009. Schnell opened The Special Event Linen Co., a hotel and restaurant tablecloth manufacturer, at a portion of the plant in 2004. Almost instantly he envisioned using the location as a sporting facility and educational campus for athletes across the country, including his 14-year-old son Brantley, one of the country’s top young motocross racers. Through Liberty University’s Online Academy, the park would admit students as young as sixth grade and allow them to earn high school diplomas and associate’s and bachelor’s degrees via online instruction. The facility could host up to 800 people in its event space area. No other facility in the county can host more than 400 people, according to the company’s rezoning application. A cold storage building would become home to classrooms and dorms, while vacant land would be converted into tracks and trails. Through an association with Joe Gibbs Racing, the facility plans to host regional racing events. According to a packet attached to the rezoning application, the park could host a national motocross event broadcast on FOX Sports or NBC Sports. The park plans to have up to nine competition volleyball courts to host club volleyball tournaments. It can be up-fitted to house six basketball courts. The company’s plan is to welcome 26 students initially, with most coming from outside county lines. Housing will be set up for 50 students, allowing for eventual expansion. Former national champion motocross racer and AMA National Motorcycle Hall of Famer Mark Barnett is slated to design and build the facility’s motocross tracks. An indoor bowl would accommodate skaters and include halfpipes, quarterpipes, banked ramps and handrails. A paintball course and remote control car dirt track are listed as amenities for the facility, which plans on operating during regular business hours and hosting indoor events in the evenings. Zoning administrator Randy Hawkins said that while buildings are in place, they still need to be up-fitted. Construction won’t begin on the outdoor areas until the property is rezoned to planned development mixed use at a future Board of Commissioners meeting. Way up in the sky, beautiful balloons returning to Ripon, Mistlin Sports Park ! Modesto, CA – Folks will head up, up and not too far away as colorful balloons again pepper the skies for two days over Ripon. Labor Day weekend heralds the 10th Color the Skies Hot Air Balloon & Kite Festival at Mistlin Sports Park – but the first for a new organizer of the event. The Ripon Chamber Foundation has taken over the festival from founders Greg and Jessica Coleman this year, with proceeds going to traditional benefactor Valley Children’s Hospital in Madera, as well as to youth programs in Ripon. “It was important to keep it in Ripon and continue the Colemans’ hard work, so the Ripon Chamber Foundation decided to take it over,” Ripon Chamber of Commerce CEO Tamra Spade said in an email interview. The chamber foundation is a 1-year-old group that gives back to community youths through leadership training, scholarships and programs. COLOR THE SKIES USUALLY ATTRACTS ABOUT 10,000 TO THE TWO-DAY EVENT. Color the Skies is the largest hot air balloon festival in Central California, according to a press release. For this 10th anniversary celebration, more colorful balloons will pepper the park than in past years, Spade said. In addition, the Patriot Jet Team will fly over the festival Saturday and there will be live evening entertainment. The festival was founded in 2006 by the Colemans to bring awareness and build financial support for Valley Children’s Hospital. About 10,000 people generally turn out for the two-day event, Spade said. 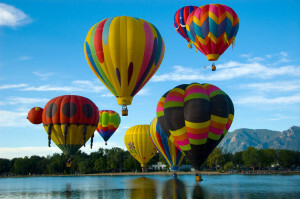 The festival begins at dawn, shortly after which – weather permitting – hot air balloons will be inflated and lifted into the skies. Tethered balloon rides for $10 begin as soon as the balloons are inflated. WE WILL HAVE LIVE ENTERTAINMENT IN THE EVENING ON THE MAIN STAGE, PEOPLE CAN BRING OUT A PICNIC AND THEIR FOLD UP CHAIRS (LOW BACK) TO RELAX AND ENJOY THE ENTERTAINMENT WHILE THE CHILDREN ENJOY THE CARNIVAL. The kite show features kite performances, candy drops from the sky, kite making and kite flying. In addition, Bay Area Skydivers will take to the skies both days. The Air George Helicopter, the medical transport team from Children’s Hospital, will land on the field during Color the Skies on Saturday and Sunday with an opportunity for kids to meet the pilots. The free festival also features a pancake breakfast, a 5k/10k run, children’s fun run, food for sale, carnival rides, local authors and concerts Friday and Saturday nights. Spade said the event will stay true to the Colemans’ vision.